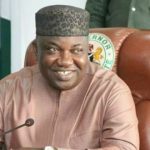 The Chairman and Chief Executive Officer of Air Peace Limited, Chief Allen Onyema has described Governor Ifeanyi Ugwuanyi of Enugu State as the best governor in the South East zone. 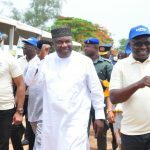 Chief Onyema also said that Ugwuanyi is a visionary and forward thinking governor who has assembled technocrats to think about what to do for his people. 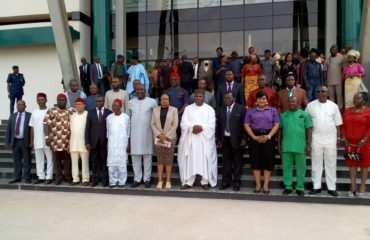 The Air Peace chief made the assertion at the Government House, Enugu when he paid a courtesy visit to the governor to deliberate on the economic development of the South East region. 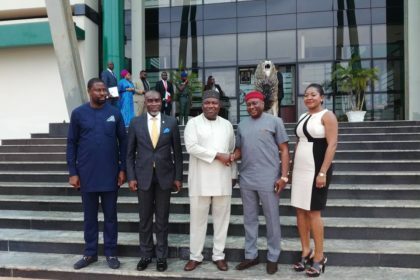 He said that it is the company’s vision to use the Enugu International Airport as the economic hub of Nigeria in particular and Africa in general, to enable the nation play its leading role in Africa, saying that the decision to establish business in Enugu was based on its assessment of the governor’s leadership qualities and positive impacts in governance. “We have in Governor Ugwuanyi the best governor in the South East. He is very visionary, he has brought many technocrats together to think about what he will do for his people. So, we want to align ourselves with his dreams and that is why we decided to choose Enugu Airport among all the Airports in Nigeria for our business investment”, Onyema said. Responding, Gov. 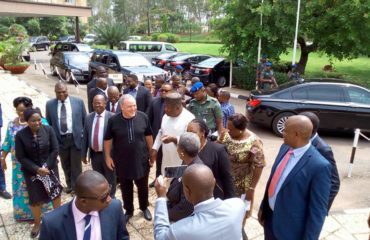 Ugwuanyi expressed delight at the decision of the Air Peace Limited to invest in Enugu State, saying that it is in line with his administration’s investment drive. The governor also appreciated the benefits derivable from the business initiatives of the company, which will create employment for about four thousand people in the state and beyond. “We are excited with the good news from Air Peace Limited. 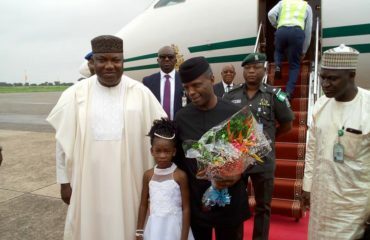 The government and people of Enugu State will certainly do the needful to support Air Peace”, said Gov. Ugwuanyi.